SSV erringt 2. 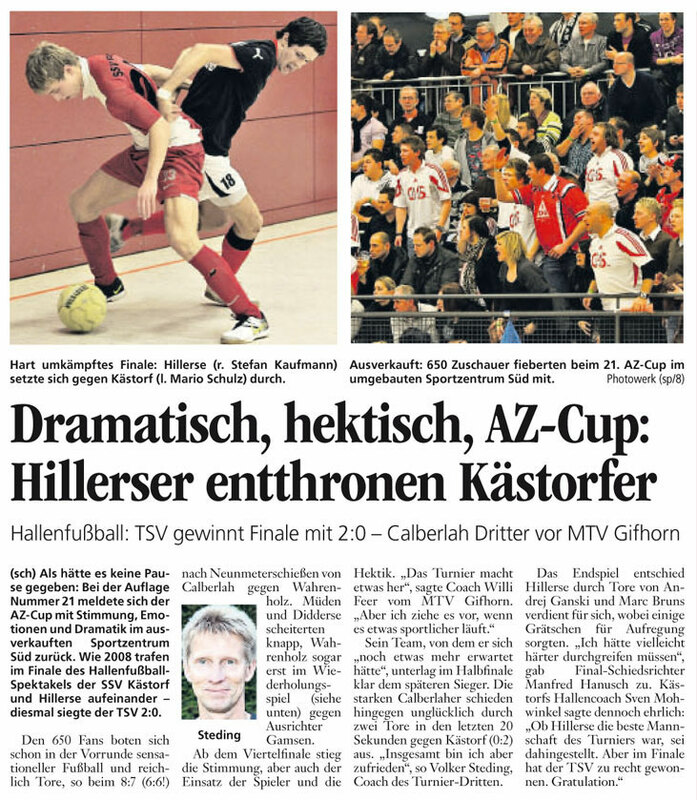 Platz beim AZ-Cup! Howdy! This article couldn't be written any better! Looking through this post reminds me of my previous roommate! He always kept talking about this. I am going to forward this post to him. Pretty sure he's going to have a great read. Many thanks for sharing! Your style is unique compared to other people I have read stuff from. I appreciate you for posting when you've got the opportunity, Guess I will just book mark this page. You can definitely see your skills within the article you write. The world hopes for more passionate writers such as you who aren't afraid to mention how they believe. Always follow your heart. Useful information. Fortunate me I found your web site unintentionally, and I am surprised why this coincidence did not came about in advance! I bookmarked it.